Melrose Grad Night is attended by over 90% of the graduating seniors. The feedback we receive is extremely positive. We keep in touch with many Grad Night alum and are pleased to hear of their successes. Donate to Melrose Grad Night to ensure our graduates celebrate in style! Jack is eager to experience college in a city, well, the city, really. 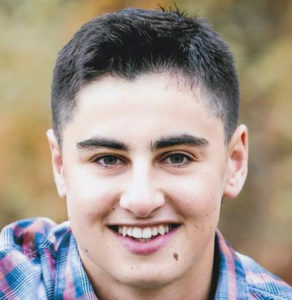 At BU this fall, he plans to double major in Electrical Engineering and Physics, while spending his free time on the golf course. His favorite MHS memory is winning the Varsity Golf championship. He’ll miss playing on the team and hanging out with his friends in the MHS Learning Commons. Jack would like to thank Dr. Hurley and coach Rick McDermod for their support during his four years at MHS. Jack looks forward to new experiences and new people, but before he leaves MHS, he can’t wait to check out Melrose Grad Night! Molly had the best four years cheering on the football team and hanging out with her friends, driving around town. She plans to study nursing in college and looks forward to meeting people from new places with different backgrounds. Although she’ll miss Melrose, she’s excited to experience independence and growth in a new environment. Molly will miss her friends and family and thanks her many teachers who’ve helped along the way. She looks forward to spending one long night with the entire class of 2019 at Melrose Grad Night! Adam learned early something that takes many a lifetime. Shortly after pitching a one-hitter his freshman year, an injury ended his baseball career. Rather than wallow in self-pity, he spun it positive by ramping up his interest in physical therapy. Adam plans to major in Exercise Science and then go on to a masters in PT. He’d like to thank Ms. Mirasolo for everything from college essay help to providing breakfasts many mornings. He’d also like to thank Coach Mirasolo for teaching him work ethic and determination and helping him to become the young man he is today. We think the world is lucky to have you in it, Adam! 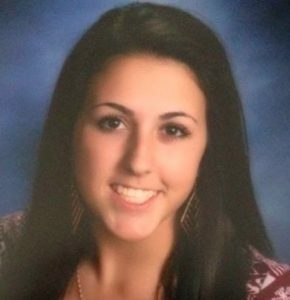 It is no surprise that Jacqueline plans to study Sports Management in college. Her favorite memories are wrapped around sporting events at MHS. From playing field hockey, to watching football games, to cheering loud and strong during Spirit Week, Jackie is “all in” when it comes to pride in MHS. Although she is excited to meet new people and explore new places, her heart will remain in Melrose. She’d like to give a shout out to Mr. Merrill and Ms. Weider for their support along the way. Jacqueline looks forward to One Big Night celebrating with friends, and we cannot wait to greet her! Will has made so many great memories at MHS, it is hard to choose his favorites. 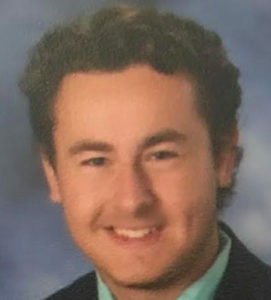 Although the student/faculty basketball game and the Spirit Spike are at the top of the list, Will fondly remembers winning the golf league championship his senior year and cheering the football team on to a Super Bowl win in his junior year. Will would like to thank Ms. Audy and Mr. Jackson, both of whom were instrumental in his successful high school career. He’ll miss being part of the MHS community, but looks forward to meeting new friends and having new experiences at Roger Williams. Until then, Will, Grad Night awaits! 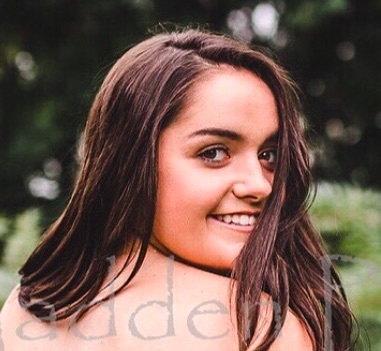 Maeve is excited to study business at Providence College in the fall. She’ll spend her final spring of senior year on the courts, as the captain of Varsity tennis. Maeve has great memories of both tennis and field hockey. She’ll miss cheering on the Red Raiders but will be back for homecoming, we hope. Maeve would like to thank her teachers, her friends, and the entire Melrose community for a wonderful first 18 years. Now on to the next! Jay plans to study hospitality in college and if his four years at MHS are any indication, he’ll be a huge success. From leading the charge as captain of Varsity Basketball to playing a key role in Varsity Golf, Jay is pretty good at getting people to stop and pay attention. He’ll miss the great friends he’s made at MHS and spending so much time together. Although he’s excited to make new memories at Sacred Heart, the past four years have set the bar for outstanding friendships and experiences to come. Jay looks forward to Grad Night and the summer, as he plans to add to his treasure of memories to store for years to come. We promise One Big Hospitable Night, Jay! Though small is stature, Brooke is big in so many things MHS. From winning the D3 state 4 x 100 relay to being an integral part of both the MHS Gymnastics and Track team, Brooke succeeds in a big way! 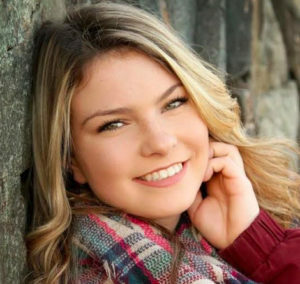 She looks forward to running on the WSU Track and Field team, where she will fondly remember her many MHS athletic team bus rides and the great friends she’s made through track and gymnastics. Brooke plans to study Communication Sciences & Disorders in the hopes of becoming a speech and language pathologist. Until then, we look forward to celebrating Brooke and her buddies for their last MHS Grad Night Hurrah! 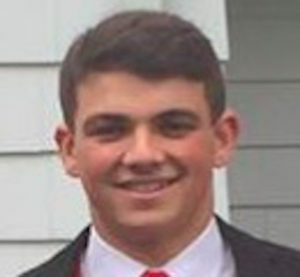 You might recognize Liam as the captain of Varsity Hockey and Varsity Baseball, but we are happy to report that his participation in the Spirit Spike tops the list of MHS highlights. Together with his close knit crew, Liam has spent the past four years making memories to last a lifetime. From cheering on the MHS football team to participating in a highly competitive fantasy football league, sports play a big role in everything Liam does. 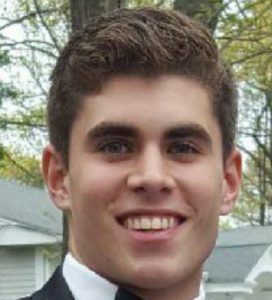 He looks forward to continuing his stellar baseball career as a catcher at Endicott College, where he’ll major in Sports Management. Liam would like to thank Coach Mirasolo for believing in him and pushing him to achieve his goals. We see a future full of successes, Liam! Mackenzie feels blessed to share field hockey with her best friends. This and attending sporting events are her favorite MHS memories. 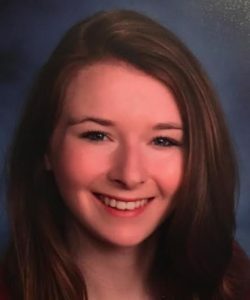 When she attends UMass Lowell in the fall, she’ll study nursing and looks forward to attending school events with the new friends she’ll meet there. The UMass Nursing program will help her learn how to think critically and to someday care for clients of all ages in a variety of settings. Mackenzie will miss life as a Red Raider but will treasure her memories for many years to come. 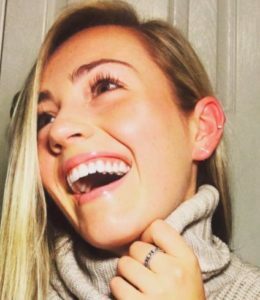 We promise you one more wonderful memory Mackenzie, at Melrose Grad Night, where you can reminisce with your besties all night long! 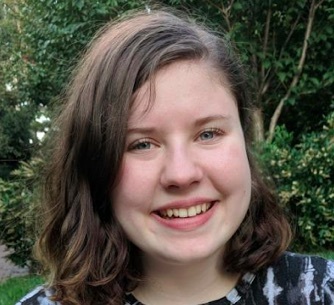 Anna is most proud of GirlCode, the club that she created with a friend to encourage other girls to become interested in computer science and STEM careers and education. 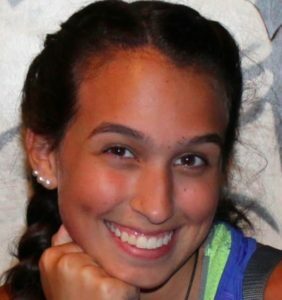 Anna plans to take her passion to the next level with a major in Computer Science at Northeastern. She’ll fondly remember pep rallies, the lacrosse team, junior prom, and MHS musicals (look for her in Mama Mia this spring!). Anna gives special thanks to Mr. Wein for pushing her to do her best and to Mr. Anderson for helping her succeed. We look forward to celebrating Anna and all the girls who code at Melrose Grad Night! Stevie believes in paying it forward. He is grateful for the life his country has afforded him and plans to serve the United States in the best way he can. Because of the deep respect he holds for several important people in his life, he plans to follow the path they took. Stevie looks forward to traveling the world, meeting people from all walks of life, and being exposed to other cultures. He’ll miss his brothers in wrestling, and truly believes the bonds and friendships he’s formed from the sport are beyond words. He’d like to thank Brian McPhee, Mr. Carbonneau, Coach Tremblay and the entire Melrose Wrestling coaching staff. Before he heads off into the world, Stevie looks forward to spending one more night with the great people he’s had the privilege to meet along his academic journey. Sam recognizes the value of a true friend and she will miss those friendships she’s made in Melrose over the years. She’s also grateful for the positive impact Mr. Alperen has had on her high school experience. She thanks him for sticking by her. Sam plans to study psychology at Keene State, in the hopes of becoming a clinical psychologist someday. In addition to her studies, she looks forward to the freedom and responsibility that college will provide. She’s looking forward to Grad Night although right now she has no idea exactly what it will entail. Don’t worry, Sam, we promise to keep you and your friends smiling and celebrating together All Night Long! If you’ve been to one of the many MHS events where you’ve heard what appears to be a professional singer belting out the Star Spangled Banner, well, then you know Sam. When she’s not making beautiful music, she’s arranging it or directing the MHS A Cappella group. 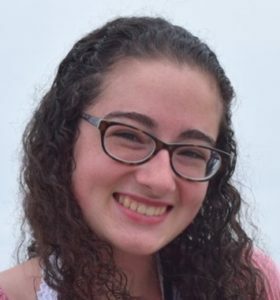 She’ll be taking her talents to Syracuse, where she plans to combine her love of the perfect melody and her passion for more technical fields, with a major in Biomedical Engineering and a minor in something musical. Although Sam will miss her friends, she’s eager to meet new schoolmates and cheer on The Big Orange football and basketball teams. 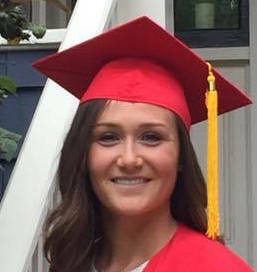 Sam will be sad to bid farewell to Ms. Van Blenis, Ms. Piper and her awesome lacrosse coaches, but before then, she looks forward to an exciting and sentimental, song-worthy Melrose Grad Night! Mairead is proud to represent Melrose in athletics and academics and will miss wearing her Melrose jersey and competing with her teammates. We are confident she’ll bring that hometown love all the way to North Carolina, where she plans to study nursing or biochem next fall. Memories of bus rides with teammates, proms, dances, and pep rallies will keep her heart at home, even as she travels to warmer climes. Mairead thanks her field hockey coaches, Parker and Parsons, and hockey coaches, Frank, Benji, and Nick, who pushed her to excel and made working hard fun. We look forward to celebrating you and your entire class, Mairead, as Melrose Pride will be strong at Grad Night! Julia will miss goofing around with her friends. This is not the first thought that comes to mind when you hear of an acceptance to Vassar College, but without a love of fun, is any achievement worthwhile? She’ll miss her friends, and although she wishes them every success in the future, she knows that the bonds she made at MHS will be hard to replicate. Julia would like to thank Mr Malley for tolerating her shenanigans, Mr Stewart and Ms Hiti-Stearns for encouraging her writing, and a special shout out to Joanne, the Lunch Lady, for being a kind face every day. 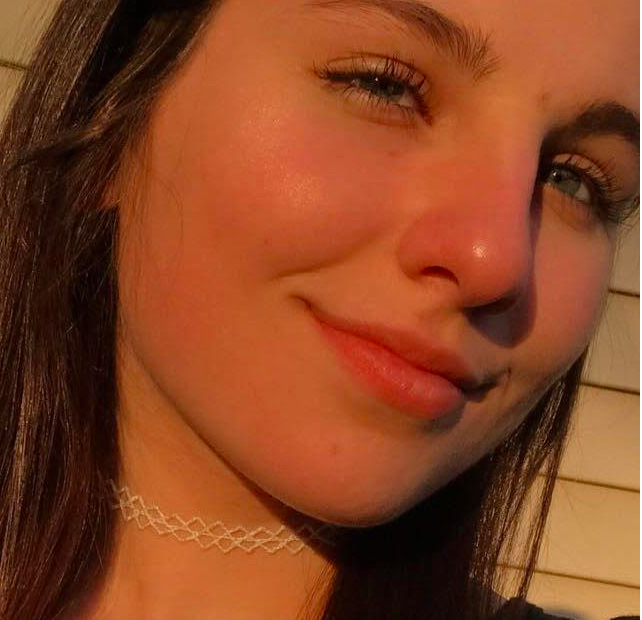 Julia plans to major in psychology, and is considering a minor in theater, but before her successful future arrives, she’s sure to spend One Big Night with her friends, laughing and reminiscing and having fun! Was Lily born with a ball in her hand? Perhaps. She’s definitely been bouncing, kicking, or throwing one for as long as we can remember. 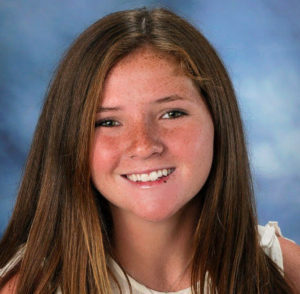 Lily plans to keep working on her phenomenal athletic talent as a member of the Roger Williams Lacrosse team. When she’s not shooting ball to goal, she’ll be studying business and making new memories with new teammates. Lily would like to thank Mrs. Giddings, for teaching much more than math skills, and Coach Matt Galusi, who remains steadfast in his belief in her. She’ll miss her twin sister Abby, who has stuck by her through good times and bad. Lily looks forward to Melrose Grad Night and being together as a class before setting off to the future. Good luck, Lily! 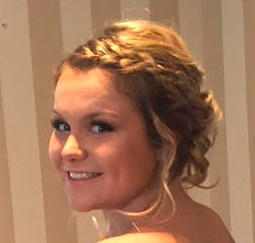 It is only fitting that our first 2019 feature is Lizzie, the daughter of the Melrose Grad Night Grand Poobah. Lizzie has enjoyed her four years at MHS, especially the 2017 Super Bowl, her Field Hockey team, and the Senior Halloween Dance. She’ll miss hanging out in the LC during AP Lab, getting to know kids she wouldn’t have met otherwise. Lizzie thanks her coaches Parker, Parsons, Frates and Sewyck for believing in her and recognizing that fun is an essential part of any team. Lizzie plans to study Nursing at SHU, where we are confident she’ll continue to spread her kindness to everyone she meets. Lizzie tells us that she looks forward to the the baby animals of Grad Night, but we know that hanging out with the Grand Poobah will be what she remembers the most! Adrianna will miss her teachers at MHS, who she describes as the funniest, friendliest, and most intelligent people she’s met. We’ve gotta guess that those same educators feel pretty strongly about Adrianna, too. In particular, Adrianna thanks Ms. Melito, her art teacher, for always being there for her, helping her develop as an artist and as a person. 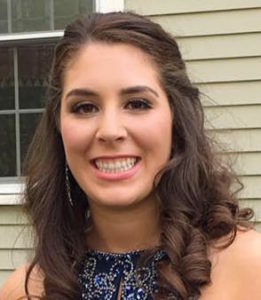 Adrianna will remember the junior prom, where she danced the night away, and the Learning Commons, where she perfected her UNO skills. At Wentworth, she’ll major in Industrial Design and hopes to study abroad. We believe, however, that her heart will remain in Melrose. Best of luck, Adrianna! Many will recognize Frantz as a stellar MHS athlete. On the soccer field and the basketball court, his talents are evident. He plans to take his love of the game to the next level, by studying Sports Management at St. Joseph’s in Pennsylvania. 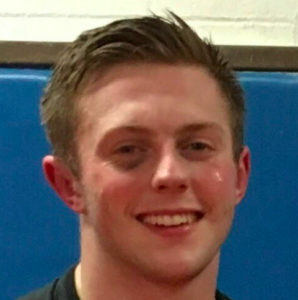 Although his MHS memories are wrapped up in his athletic pursuits, with a shout-out to Coach Kaz, he will miss hanging in the Learning Commons with his friends and classmates. 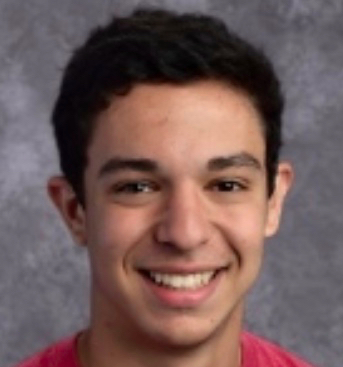 He is looking forward to new experiences and new people in his post-MHS life, but before then, he plans to have a great time at Melrose Grad Night! If Jack attacks his college career as competently as he plays Attack on the MHS Lacrosse Team, we are certain he will be a success. This student-athlete committed to play lax at St. A’s next year, and plans to work hard at school and sports. He’ll major in Business and Marketing and looks forward to meeting new people and learning new things. Jack thanks all of the MHS educators, but especially Mr. Santos and Mr. Sawyer for giving him the encouragement he needed to challenge himself. He looks forward to Melrose Grad Night and hanging out with his classmates. Emily and her close group of friends will always have the bond of experiencing sporting events and pep rallies together. She’ll miss that most about MHS. 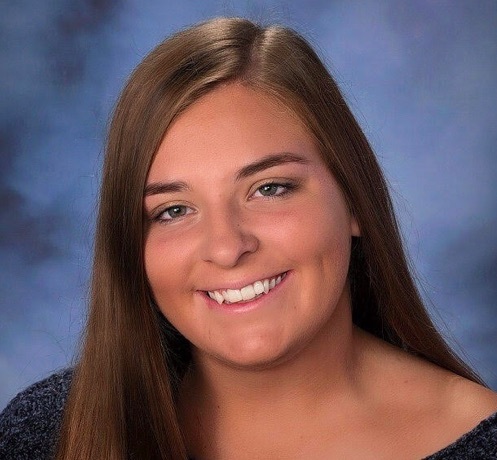 Her four high school years have been filled with successes, including being a member of the National Honor Society and the captain of the Varsity Softball team. Her plan is to study marketing and psychology at Endicott and she is looking forward to a bright future! Emily is excited to spend one last night with her entire senior class before they set off to begin the next chapters of their lives. 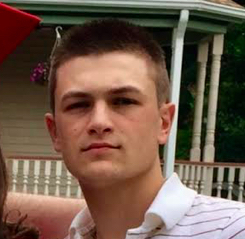 As Michael moves on to the National Guard, he will carry with him memories of a teacher who pushed him to set personal goals and get out of his comfort zone. Mrs. Melito focused less on success and failure than she did on working hard to achieve Michael’s potential. She saw the best in his artwork and his character and believed in him and his future. Michael will miss Mrs. Melito but we at Melrose Grad Night are confident he’ll be back to visit and his favorite teacher will continue to keep tabs on his certain success. 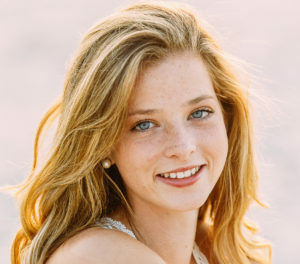 Olivia’s favorite high school memories include those from near and far. She’ll never forget cheering on the football team as they won the Super Bowl, but she also remembers fondly her trip to Spain with the foreign exchange program. Although she is undecided in her major, she looks forward to meeting new friends in the warmer southern climate. She will miss her English teacher, Mrs. Dobbins, who she could always count on for help, especially during the college application process. Olivia thanks Mrs. Dobbins for teaching her so much more than English. She looks forward to making final memories with her senior class at Melrose Grad Night! Next year, Shaylin plans to study Criminal Justice, with a concentration in Victomology. When she is not studying, she looks forward to new friends and new memories. She will always remember her trip to Spain in the MHS Exchange program and the great time she had with her classmates. Before she bids MHS farewell, she’d like to give a big shout out to those educators who helped her become who she is today. Mr. Merrill, Señor Malley, Mrs. Van Blenis, and Ms. Edsall can all take some credit in her success, not just academically, but in her personal growth in and out of the classroom. Shaylin looks forward to the grand finale of being an MHS student: Melrose Grad Night. We’re ready to celebrate you, Shaylin! Adonis will miss sprinting up and down the MHS hallways, trying to recruit people to join the Do the Right Thing Club. He’s obviously done many things right, as he was recently named a Posse Scholar and awarded a full scholarship to Centre College. 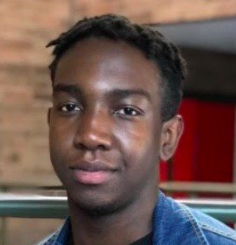 Adonis plans to study environmental science at Centre, and looks forward to the warmer climate that Kentucky will provide. Adonis is a big proponent of the METCO program, and will remember fondly all of his friends in the program. He thanks Ms. Ward and Ms. Edsall for their commitment to his success. Melrose Grad Night is a mystery to Adonis and he looks forward to experiencing it and wishing his classmates the best in their future plans. Although Grace is undecided in her college studies, she is passionate about art and thanks Ms. Melito for sparking that passion. She’s excited to head back to the south, her former home, and meet new people and have new experiences in Tampa. She’ll miss her classmates and the fun they had together cheering on the football team as they won the Super Bowl. Before packing her bags, Grace looks forward to spending Melrose Grad Night with her classmates, having fun and celebrating each other and all of their successes at MHS! Hannah is looking forward to living in New York City, exploring her passions in business and fashion at Fordham’s Gabelli School of Business. 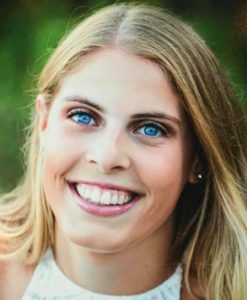 Hannah has loved her four years at MHS, especially participating on the tennis and field hockey teams and during her exchange to Spain. While Hannah is ready to enter this next exciting phase of her life, she will miss MHS students and educators, especially Mr. Tannetta, who has watched her grow as a student and an individual. Our wish for Hannah is she finds a NYC equivalent to her favorite Turner’s Seafood…but we know that is an impossibility! Hannah looks forward to One Big Night with her classmates. Brenna has so many great MHS memories, it is difficult to choose! She will never forget the Red Raiders football team winning the 2017 Super Bowl. She’ll remain a football fan, we are sure, when she heads to ‘Bama in the fall. Brenna is undecided in her major, but her passion lies in the art industry. She will miss cheering on the MHS sports teams with her classmates and sitting in the student section at games. Brenna will remember all of her teachers fondly, but especially her role model in Ms. Melito, from whom she has learned not just art, but life lessons. Brenna looks forward to celebrating graduation with her classmates at Melrose Grad Night! We cannot wait to see you there, Brenna! 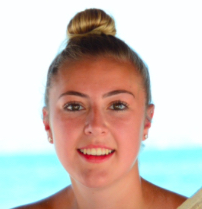 Lauren’s favorite MHS memory is traveling in Germany during her sophomore year. Through the German American Partnership Program, she explored Berlin, Luebeck, and Luneburg. How does she top that? By studying Accounting, Economics, and Finance next year, right here in her favorite city of Boston. Lauren will miss Mexico Lindo and her incredible classmates, whom she looks forward to celebrating with at Melrose Grad Night. Lauren is eternally thankful to Mr. Noone, Ms. Troy, Frau Stepper, Mr. Anderson, and Mr. Sawyer for teaching and supporting her throughout her high school career. Sam’s prowess in the pool started at a young age and continued at MHS with many record-breaking moments. Sam will continue to swim at Fairfield, where she plans to focus on sprint freestyle. 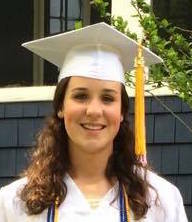 When not in the pool, Sam’s academic accomplishments promise to serve her well at Fairfield’s Dolan School of Business. 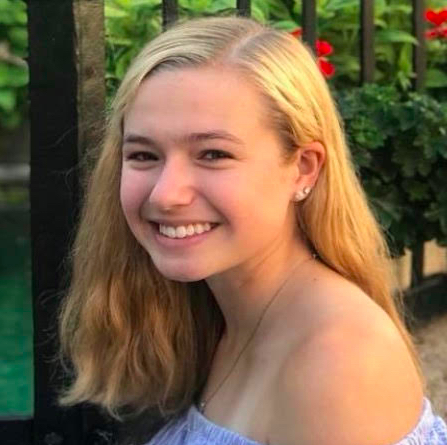 Sam looks forward to making new friends and seeing new places, but she’ll carry in her heart many MHS memories, friends, and the Melrose community. A special shout-out to Mr. Noone and Mr. Sawyer, who Sam credits for preparing her for what we believe will be an exciting and successful future. Before then, Sam cannot wait to play with the baby animals at Melrose Grad Night. They will be waiting for you, Sam! Bridget plans to study journalism at Ithaca College. She has wonderful memories at MHS on stage and behind the scenes as part of the many MHS Drama Productions. Bridget will miss her Drama Club family dearly. When not performing for the wider Melrose community, Bridget enjoyed writing for the MHS Imprint. In fact, this is where her love for journalism was first sparked. 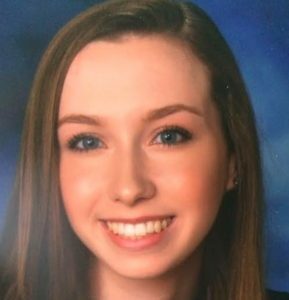 Bridget looks forward to celebrating with the class of 2017 at Melrose Grad Night and wishing all of her friends well! Molly plans to study nursing at St A’s. She looks forward to many new experiences next year and hopes that college offers incredible opportunities for her. Molly has loved her four years at MHS and on the swim team. She has great memories of past and present teammates and is preparing to miss them terribly. She has heard from past graduates of the cuddly and cute animals at Melrose Grad Night and hopes they make an appearance again this year. 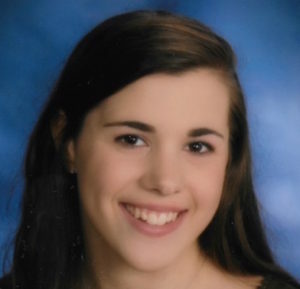 Erin has loved her four years at MHS, but is ready to venture out and meet new people. She plans to study Occupational Therapy while in college and looks forward to new adventures. She is ready to move beyond that often asked question: Who are you, Erin or Molly? Erin cannot wait to spend Grad Night with all of her friends, exploring the many food selections (Will there be a Grilled Cheese Truck? You’ll have to wait and see, Erin!). As the oldest of three brothers, Justin has been managing a whole lot of boy business for a lifetime. It seems only fitting that he’ll continue his education at the Isenberg School of Management at UMass Amherst. Although he looks forward to this new stage in his life, he will never forget one particular high school highlight: qualifying for the state tournament on the MHS Golf Team in his junior year. Justin will fondly remember his golf teammates, and looks forward to celebrating with his MHS classmates all night long. As an Honors Fellow, Griffin plans to spend his time at Elon majoring in Public Health and Policy. This should come as no surprise to those who know him, as he is a committed runner who can be seen hitting the mean street of Melrose at daybreak and sunset. Griffin is a valued member of the Cross Country team and has, individually and with his teammates, elevated the status of running at MHS. Not only is he devoted to this healthy pleasure, but his passion for public policy was born in his high school participation in the esteemed Model UN program. 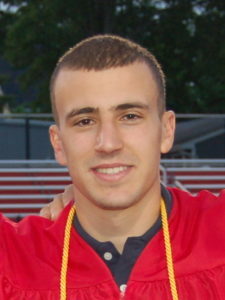 Griffin will miss the camaraderie of his classmates, and looks forward to wishing them well at Melrose Grad Night! Not too far from home next year, Maya hopes to continue to pursue her interests of history, political science, and theater. 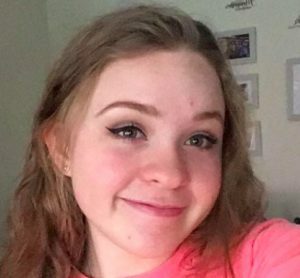 Throughout high school, Maya could be found in the auditorium, stage-managing/assistant directing the award-winning competition plays and in the school musical. Maya is excited to perform in Thoroughly Modern Millie in May 2017. Maya has also been an active member of the school newspaper and, in her senior year, is an editor. Although she will be sad to leave behind the Melrose High community, Maya is excited to experience the fun of being a graduate at Grad Night. Although never at a loss for words, Nick’s actions speak even more loudly. He is staunchly committed to his school, his friends, football, and important causes. 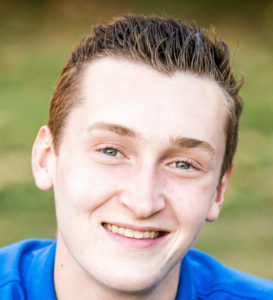 His fondest high school memory (besides being part of the Long Red Line) is as captain of his Relay for Life team. His fundraising efforts helped to make the event a success, and each dollar raised for cancer research was worth the time he invested. Nick plans to major in business at Nichols and will play football for the Bison. He looks forward to celebrating graduation with his MHS friends at Melrose Grad Night! 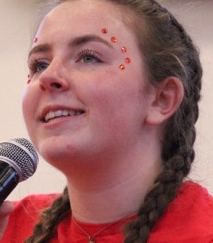 Rachel is the 2017 class president, but she’s so much more than that. At a recent PTO meeting, she encouraged parents of underclassmen to focus on passion rather than getting too wrapped up in GPA. Rachel is a committed member of Melrose Alliance Against Violence (MAAV) and various charitable organizations in and around Melrose. She sings in the MHS chorus and is a captain of the MHS Cross Country Team. Her favorite MHS memory was performing Les Mis and seeing all the students and faculty in the crowd. Rachel plans to study International Relations over the next four years. We are confident we’ll be proud to some day say we knew her when. And what better way to celebrate her success than with One Big Night? Cross Country and Track fans know Sean as a top runner on the MHS team. Sean was one of the fabulous four who recently set a state record in the long distance medley and logged the 10th best time in the country. 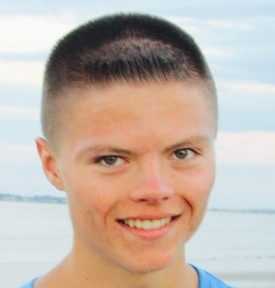 So you won’t be surprised to hear that Sean plans to keep on running at Stonehill in the fall. Although Sean has yet to declare a plan of study, we are confident he will work as hard academically as he does on the trails. Sean looks forward to this next big step in his life and cannot wait to celebrate his four years at MHS at Melrose Grad Night with the class of 2017. As a left handed attacker on the MHS lacrosse team, Corbin is currently the leading goal scorer for the Red Raiders. 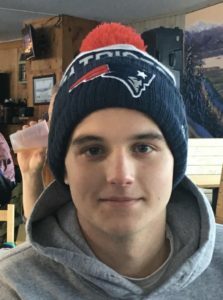 Corbin is excited to play lax and study at Keene, where he loves the campus and the proximity to Melrose. Before then, he looks forward to his last season at MHS as captain of the team. He hopes to see MHS lacrosse have a great season and possibly go all the way. 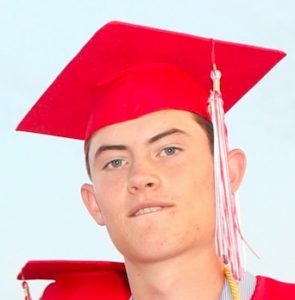 When lacrosse is over, Corbin will be happy to reminisce about the highlights, as he joins his friends for the final sendoff at Melrose Grad Night! The class of 2017 will forever remember one great high school love affair: the one between every MHS football fan and a certain running back. This football powerhouse will be missed when Fred Green field stands without him next year. The good news is Tufts is close enough for devoted fans to catch a game or two when Mike suits up as a college player. 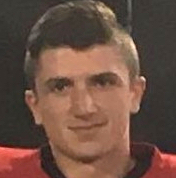 Mike will miss playing football and hanging with friends during his four years of high school and looks forward to spending an entire night with the senior class at Melrose Grad Night. If you think you recognize the name, know this: Cat is an MHS volleyball and basketball all star. She has committed to play on the volleyball team at Rivier and looks forward to a successful college career. When not on the courts, you’ll find her nose in the books, as she prepares to better the world with her Criminal Justice degree. Cat has been looking forward to Grad Night since she was a freshman, but not nearly as much as we’ve been looking forward to hosting her! 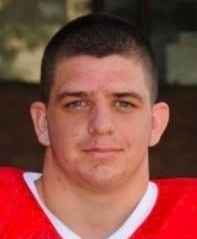 Pat plans to continue the outstanding football and academic career that he started at MHS. When he’s not protecting the offense on the line, he’ll be figuring out a way to combine his many academic and philanthropic interests for a successful future. But there is plenty of time for that. Come this June, we hope to snap a few pics of Pat snuggling the barnyard animals at Melrose Grad Night. Stay Instagram ready! With a major in marketing and focus on fashion, we are confident Olivia will take North Carolina by storm. Although she’ll be sad to say farewell to her Melrose pals, she looks forward to representing the great North East at Wake Forest in the fall. She’s as excited about Grad Night as she is about graduating and looks forward to spending One Big Night with her classmates! Although Aly is currently undeclared, she is considering her options in elementary education and psychology. 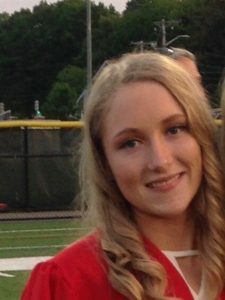 Despite meeting incredible people at St As and loving her classes, this stand-out athlete still misses playing basketball and softball with her teammates at MHS. She looks forward to summer back in Melrose, where she waits tables at Bellevue Country Club. Aly’s memories of Grad Night are wonderful, even better than the senior prom! Will loves being a Husky! At his new school, he’s gotten involved in many activities including his first skydiving jump. As a former MHS football player, he’s quite the star on the intramural flag football team. Although his major is undeclared, he matriculates in the UConn Honors College, where he continues to challenge himself academically. His favorite Melrose Grad Night activity was the casino. 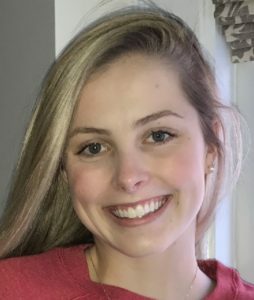 Meagan has enjoyed her post-graduate year at PEA, playing on the varsity volleyball team as a middle hitter. 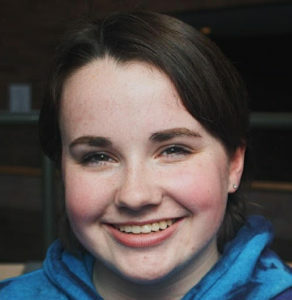 She plans to study biology at McGill with her sights on a future in the medical field. Meagan had a lot of fun at Melrose Grad Night and loved the variety of prizes that people donated. Aevary remembers having a great last night of fun with her fellow classmates at Melrose Grad Night! She especially enjoyed playing bingo and casino games while enjoying all the great food and drinks provided. Aevary and many of her friends won some great prizes including gift cards and a flat screen T. V. She’s now continuing her education studying business at Bentley, only a short drive away from Melrose. Jay remembers Grad Night as the last guaranteed fun night with his senior class. He’s happy to still be close to home, attending college in Medford. 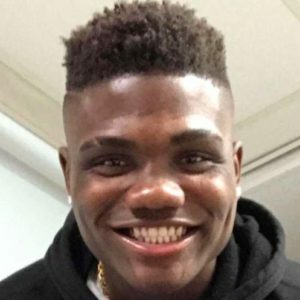 He plays on the Tufts football team, where he continues to be the outstanding Running Back many remember from the winning MHS football team. Between football and academics, Jay is learning to manage his time wisely. Cam is happy to be close enough to home to keep an eye on his two younger sisters. He keeps in touch with his Melrose friends and tried to catch a few of the MHS football games in the fall. He is a declared Criminal Justice major and looks forward to learning more about the program. Cam was happy to participate in Melrose Grad Night and has great memories of the last night spent as a high school senior. 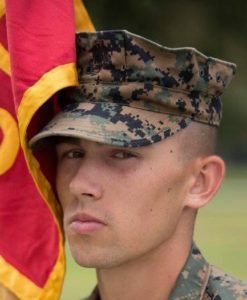 Tom began Marine Corp training 48 hours after MHS graduation where he was awarded the “Chesty” Puller Recruit Company Honor Graduate Award, for demonstrating the highest potential for future leadership and responsibility in the 600 person company. Tom attends Babson College, where he hopes to combine his leadership and entrepreneurial spirit to achieve his career goals. Tom remembers the many ways to win prizes at Melrose Grad Night, a highlight of his graduation. Charlie won 40 dollars in the Money Grab Booth at Melrose Grad Night, his favorite part of the evening. He continues his pursuit of the almighty dollar as a student in the Isenberg School of Management at UMass. Charlie is happy to be just far enough away from Melrose to miss it, and when he does, he hops on a bus and heads home. When he is not buried in his college studies, you can find him hanging out with friends having fun. 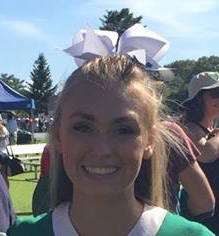 Meaghan is not just cheerleading for the football and basketball teams at Endicott, she is also majoring in Exercise Science. As an MHS Honors graduate, she is positioned well for all sorts of success. Meaghan loved Grad Night and most definitely enjoyed the casino tables. She loved being with all of her classmates one more time before they all ventured off to college. Sam remembers the “best last night of high school” at Melrose Grad Night. Her favorite was hanging out with new furry friends in the petting zoo where she got to hold bunnies and pigs. She even got a picture booth picture with Jack Sparrow. She loves coming back home every so often and continues to stay active playing on the Women’s Rugby Team, Go Bulldogs! Melrose Grad Night was a great way for Sam to remember her last times in Melrose as she continues her business studies in Rhode Island. 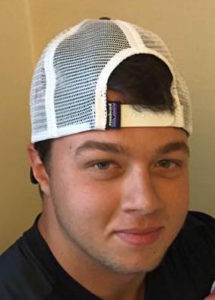 At Grad Night, Evan loved learning the casino games and betting with “someone else’s money.” He had a great time hanging out with his friends and reminiscing about the past four years. 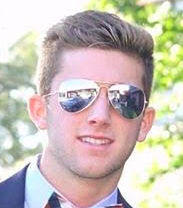 Evan attends UMass Amherst and is a Operations and Information Management major in the Isenberg School. He decided to major in business after a great MHS experience in Mr. Corrigan’s Economics class. Susan’s path from MHS graduate to Diagnostic Medical Sonography major at Regis College was not always an easy one. She struggled to find direction and passion in a career choice. After two years of hard work at Bunker Hill, she is excited to begin at Regis. Susan’s advice for current graduates: “Never give up. There’s always a chance to make tomorrow a better day.” Susan, we look forward to you making the world a better place! 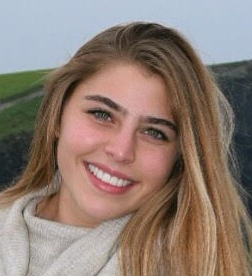 Claire is currently a sophomore studying economics and international studies at Boston College. 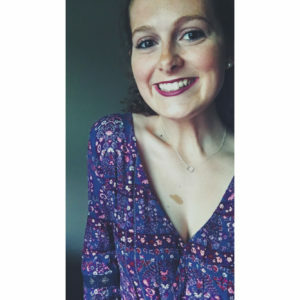 She enjoys keeping busy on campus with classes, an on-campus job, and different clubs, but also loves to find new places in Boston to explore with friends. 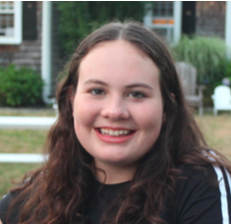 When thinking back on MGN, Claire’s favorite memories are taking pictures in the photo booth and winning Red Sox tickets from one of the raffle prizes! 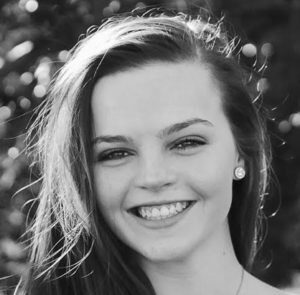 Kaitlyn is currently studying communications at Regis College. 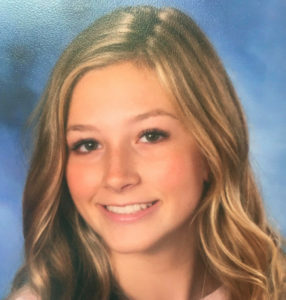 Although the transition from high school to college was not always easy, she now considers Regis here “home away from home” and has made some incredible friends. She is one of the Managers of the Regis Women’s Basketball team and a member of the Regis Glee club. She remembers Grad Night as a great time to spend with the class of 2015 and wishes this year’s graduates well! Melissa’s second year at UNH is even better than her first. She is studying Occupational Therapy in the hopes of someday working to develop the skills of special needs children or in the Neonatal Unit of a hospital. Melissa recently joined the Phi Sigma Sigma sorority and looks forward to many adventures with her new sisters. When Melissa thinks back to Grad Night, she remembers a memorable last night with her graduating class, and of course the baby pigs in the petting zoo. Keith loved getting his groove on at Grad Night and who can blame him? With so many things to do over the course of the evening, it was hard to choose a favorite. Since graduating from MHS, Keith has continued to grow and thrive as a local Boston college kid. He has enjoyed getting to know the city and staying in touch with his Melrose friends. Caitlin is studying biology at Loyola University in Maryland. 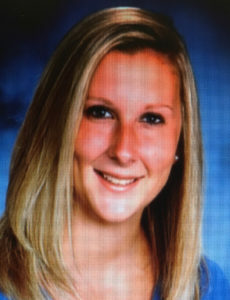 Although she is far from home, she keeps in touch with her friends from Melrose and MHS. She has great memories of high school and her work at Education Stations and the Melrose YMCA. She says about Grad Night that pulling an all-nighter was the greatest form of bonding on that last day of high school. The animals, she says, were pretty amazing, too! 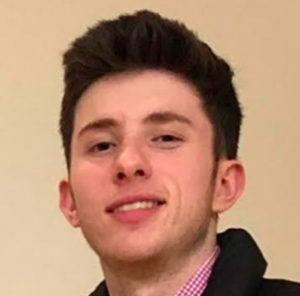 When asked about Melrose Grad Night, Andrew says it was a great night with all my friends and it was good to have a final shindig with the class of 2015! 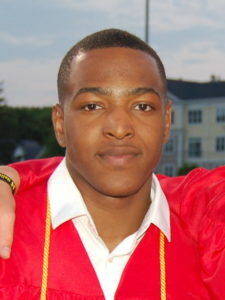 He has moved on to study music at Salem State University and continues to achieve success there. Working at The Guitar Center and Boston Art & Framing keep him busy when he’s not hanging out with friends. 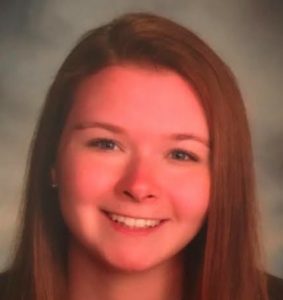 Olivia is enjoying her second year at Merrimack where she has made lots of friends while staying in touch with her Melrose crew. She has many great memories from her years at MHS and misses her favorite teachers and staff. Her feeling about Melrose Grad Night was that it was the perfect grand finale to her years in high school! Kaitlin’s mom is the Melrose Grad Night founder. Enough said. Of course, like any good child, Kaitlin is proving that she can be at least as successful as the old lady. 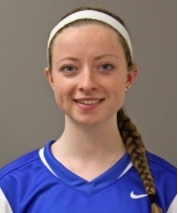 She is majoring in Applied Exercise Science with her sights set on Physical Therapy. She spends her limited free time as an outfielder on U of NE’s softball team and at an enviable work-study position at Forum Hockey Rink. Her favorite Grad Night memory? Well, it was probably not taking pictures in the Photo Booth with Madam President, but hey, maybe it was. Alicia remembers getting stuck on the Velcro Wall at Grad Night and still watches the videos with friends. She loved the money machine, too, which might be an indication why she decided to become an Accounting major. (Yes, MGN will take the credit for that). 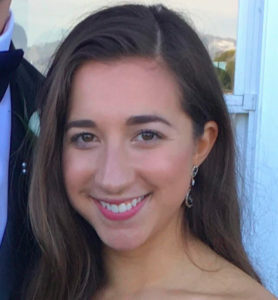 Alicia interned at an accounting firm in Wellesley the summer after her sophomore year and plans to work there again during junior year winter break. Alicia recently spent a semester in Belgium through the College of Business, where she traveled to ten different countries! Oh the places those MHS grads will go. Emma’s first year at Queen’s was a big one, as a member of the swim team, she was part of a record setting 4 x 100 relay. She is studying politics with a minor in economics. Emma is considering the possibility of studying abroad next year. She remembers Grad Night as a lot of fun. She didn’t know what to expect but the fun activities kept her occupied pretty much all night. Alyssa was instrumental in planning the first ever Melrose Grad Night. Her insight to the MHS student body and commitment to make Grad Night a success is a big reason why we are where we are today. 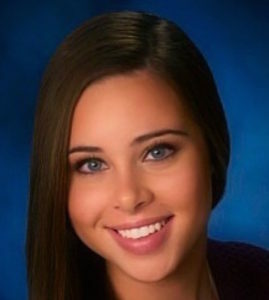 Alyssa continues to make us proud as she studies nursing and works as a patient care associate at Mass General Hospital. We are happy to say we knew her when.